I love party lights. 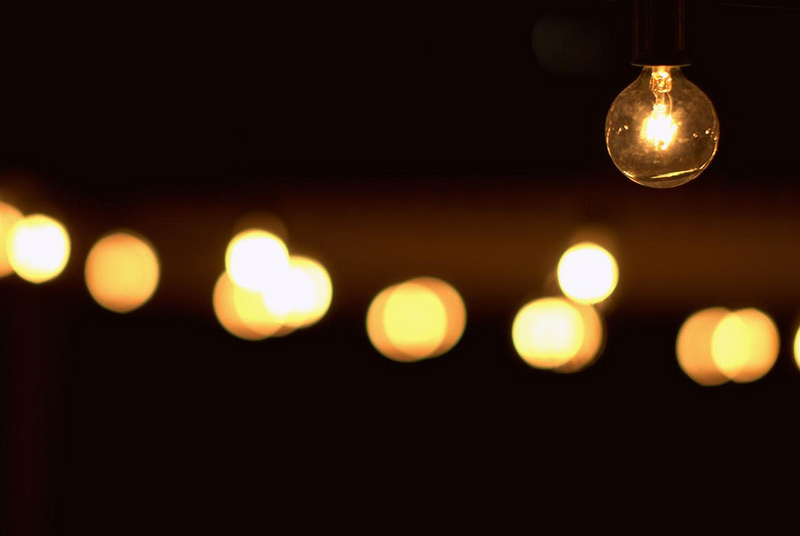 You know, those strings of Edison lights that everyone has on their patios now. They just scream “festive”. Or “celebrate”. Or “gather here”. And I had that kind of life for a long time. Bright, fun, amazing spots. With stretches of darkness in between. I’m not trying to be dramatic AND I’m not saying that it was pitch dark between the bright spots. There were little twinkle lights here and there, spanning the distance between the super bright spots. And maybe the better way to say it is to say that I was dull. My light was dimmer. And I couldn’t figure out why. I kept thinking “when X happens, things will be better”. It was a string of extremes that was exhausting, fun, sad, joyful, lonely, full of love, scary, exciting, lonely. Did I mention lonely? And life is like that, right? A mix of highs and lows. And while there were definitely more highs than lows in my life, I still felt dull. So when I started this year, having come out of my Bold and Brave 2016 year, I knew that I wanted consistency and stability. So my words for 2017 became: Every Day Matters. I want joyful, caring, meaningful connection with myself and others Every. Damn. Day. I need to do things every day that move my purpose, vision and goals forward. AND I still want the big bright spots every now and again. Big celebrations. Concerts. Broadway shows. Family trips. I don’t have to choose between the bright warm glow of every day life and the super charged shine of the big events. And neither do you. You get to have both. And the way to have both is to focus on Clarity, Communication and Consistency. Get clear about who you want to be in this world and the impact you want to have in this one brief shining moment the we have. Practice, practice, practice productive COMMUNICATION. Share that clarity with people. Let those who matter most know who you are and what you are becoming. Have the conversations you need to have, even when it’s hard. Create ways to build CONSISTENCY into the stuff that matters most. Focus on the actions that will move you forward and find a way to do some aspect of them every day that you possibly can. Whatever it takes. Score cards, accountability partners, posting on social media, whatever helps you get it done day in and day out. Shining your light won’t always be easy. A bulb will burst every now and again. You’ll have days where you can’t find the light switch. And you can let those days be dark if you need to. Then, the next day, you get back to your clarity again and just keep on going.